"Ali is a true artist! 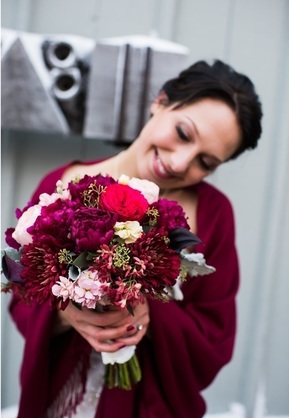 At that first consultation meeting, I told her about the color palette of the wedding day and some of my favorite flowers, and she took those ideas and ran with them. I cannot even explain the absolute joy it was to see how she transformed the church I got married in with flowers and beautiful arrangements. Brides, I am here to say, this girl can do anything. I will forever cherish the photos of the church and the beautiful arrangements at the front. The pew decor that she re-purposed at the reception to hang in the windows, the boutonnieres for the special men and the beautiful bouquets for my girls. Many of my guests adored the floral arrangements and how they changed the space of both the church and the reception. One detail I had kind of forgotten about until the wedding day was my bouquet! Brides, the moment I saw it for the first time was indescribable. There is not a single photo from the day where it wasn't in my hand! Ali is such a gem and easy to work with. I am so grateful I was able to work with her and incredibly thankful that I was able to witness her true talents and artistry on the best day of my life. "I don’t know where to start other than to say, ALI IS AMAZING, book her before it’s too late! ...I live in Seattle and reached out to Ali after exhausting my Seattle wedding florist search due to the ridiculous prices/up charges, demand and that little thing called sales tax! I’d also seen Ali’s work at one of my best friends wedding’s the year prior (I absolutely loved it! And my best friend raved about her experience with Ali) and figured - what the heck, doesn’t hurt to ask. 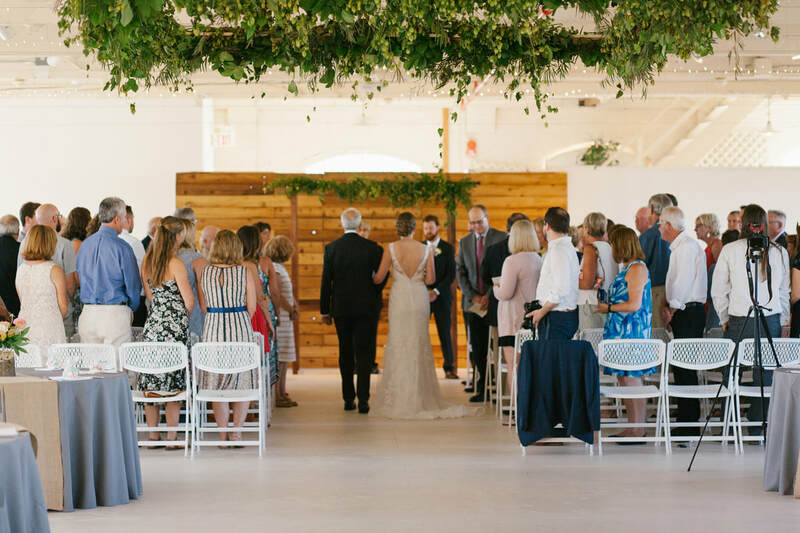 Well, the moment I heard back after my first email to Ali -- until the day of her setting up and finishing my flowers at our venue was nothing but magical. Ali pours her heart and soul into her job and creating a unique story and experience that is unforgettable and completely you! She devotes uninterrupted time to you the days before your wedding, she really puts 110% into her work. From our first correspondence all the way up to our wedding, she would somehow understand what I wanted and deciphered what I was saying and turned that into the most beautiful additions/pieces at our wedding! She listens, interprets, and she’s sensitive to budgets and helps you really understand what pieces have the most ‘bang’, where to put your money, what you could possibly re-purpose and what flowers/arrangement aren’t really as necessary if you’re trying to stay in a budget. Aside from all of that, I wanted peonies somehow at my mid July wedding and pretty much knew it wouldn’t be possible, YET she still made it happen and I had peonies in most of, if not all of my arrangements. My bridal bouquet was by far the most beautiful bouquet I have ever seen in my life, and it was perfect in every way!!! I just wish it would’ve stayed alive forever. 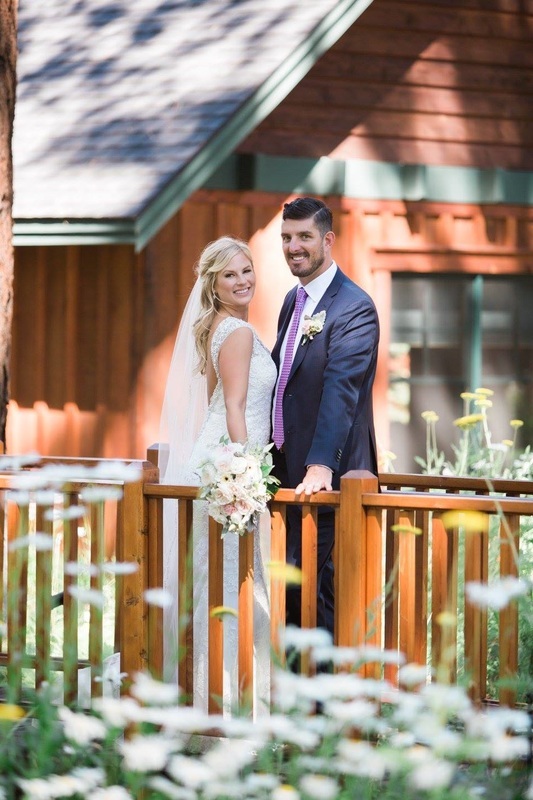 "A HUGE thanks for everything you did to make out wedding PERFECT! I was just absolutely blown away by how stunning everything turned our, and you seriously were such a gem to work with! 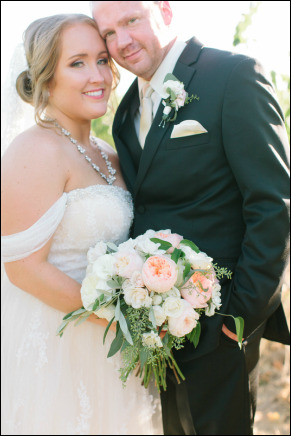 You made our day so special, and now your beautiful florals are in photos all over our home, bringin us so much joy! You truly are the best. THANK YOU! 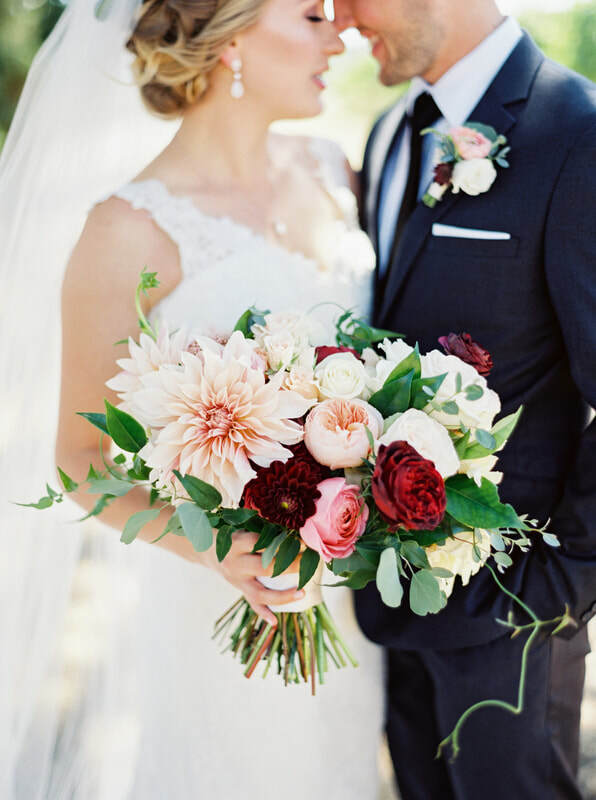 My bouquet was everything, still so obsessed." "Ali is so good at what she does; she listened to my hopes and wishes, and gave me exactly what I asked for. She was professional the entire time while giving me the individual attention and personal care most brides hope for :). I can't recommend her enough!" ". . .Your designs were simply amazing! The ceiling centerpiece of greenery was over the top beautiful ... so unique and it added so much to the room. Thank you for your professionalism, creativity and for making (this day) day so beautiful ❤"
"Ali is incredible! I had checked out two other florists before I found her. By the time I met with her, gave her my ideas and I received a quote, the other two florists hadn't even responded to my first requests . . . I showed her my Pinterest board and that's all she needed. She knew exactly what we were looking for and she truly cares about her clients. I highly recommend her!" 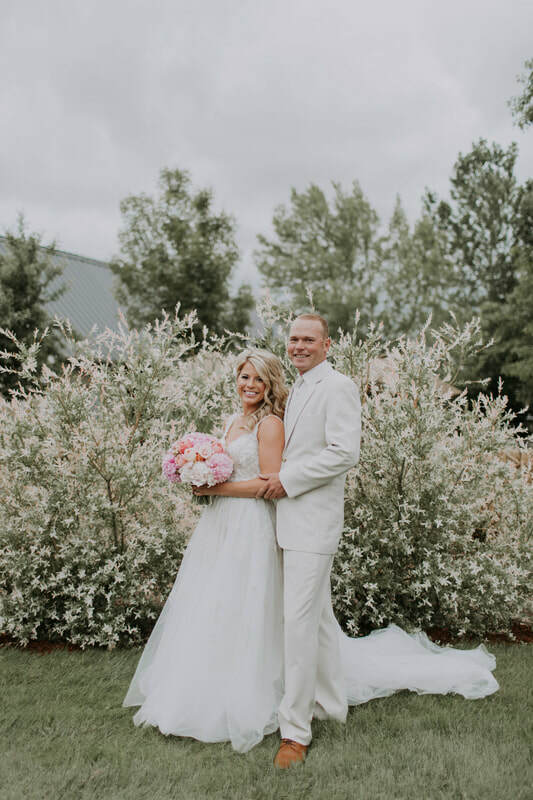 "Ali did an amazing job on our floral arrangements/centerpieces and was very flexible when I needed to change something. I gave her some ideas of what I liked, and she worked her magic. We received many compliments on the bouquets. If we had to do it over, we'd definitely go with Ali again!" ​"Ali is absolutely amazing to work with! From the moment I met her, I knew she was the sweetest person and her work illustrates the amazing floral designs she creates! I was sure I wanted her to do the flowers for my August wedding then and there. She is super reasonable and really wants to make sure the bride is happy (which I DEFINITELY was). Even the proposal she gave us was beautiful! The bouquets, centerpieces, and flowers for the aisle were breathtaking! My family literally argued over who got to take what home at the end of the day! She got my pastel vision so so well, and she even put up with me changing something the week of the wedding! She is just beyond sweet, talented, and thoughtful. I can't recommend her enough!" "I can't even begin to explain how wonderful Ali is to work with. And not only that, but everything was perfect. I threw a number of pictures at her with what I did and didn't want for the bouquet and she translated it perfectly. The succulents she chose to put in my hair were the perfect size. She also worked with me on my budget and made sure that we would still be able to achieve what I had pictured on my budget. Beautiful. 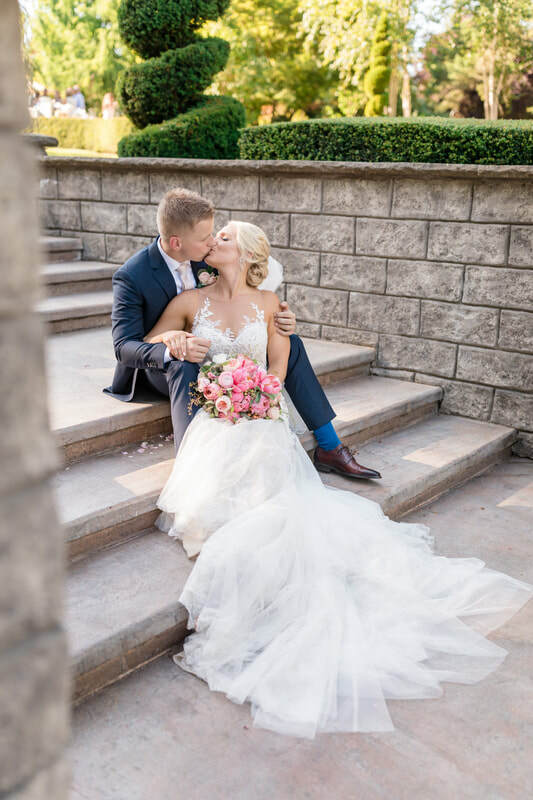 If you're looking for someone who will talk with you through her process and keep you updated on her ideas and plans for your wedding, Ali is who you should go to." ﻿"Ali was an absolute pleasure to work with for my wedding. She was incredibly sweet and reliable. And the flowers on my wedding day... Above and beyond!!! I was almost in tears with how perfect every single detail was. She DEFINITELY captured my floral vision. 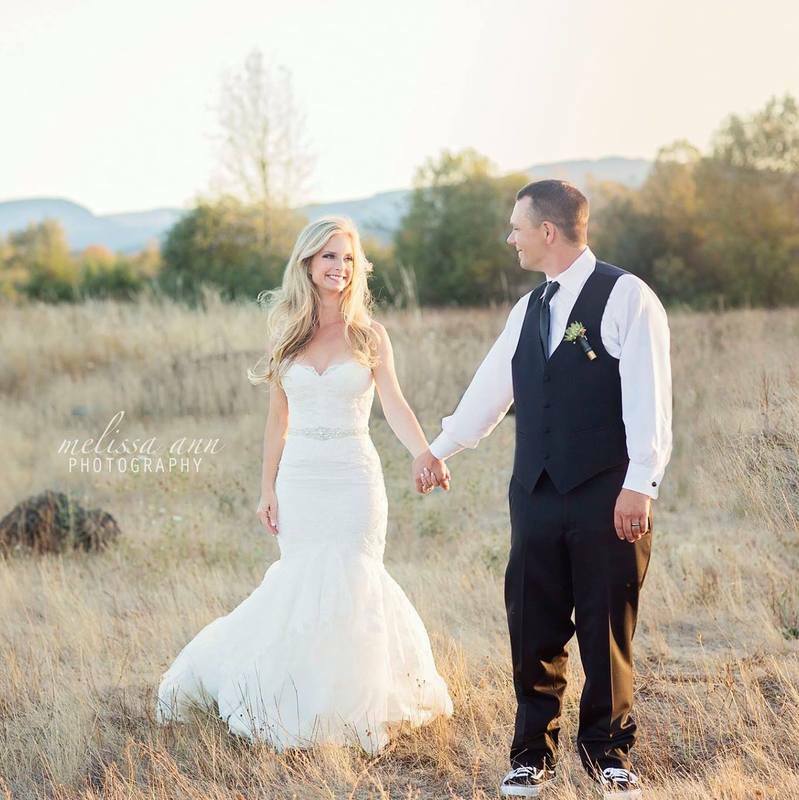 I can't recommend her enough for every bride in the area!" "Ali's work is absolutely incredible and so unique! From start to finish working with her was fun and easy. She put together an amazing preview / idea board of flowers and delivered above and beyond what I had envisioned. She was so easy to talk to and share ideas with and that mixed with her incredible eye for design and color made our flowers absolutely pop! 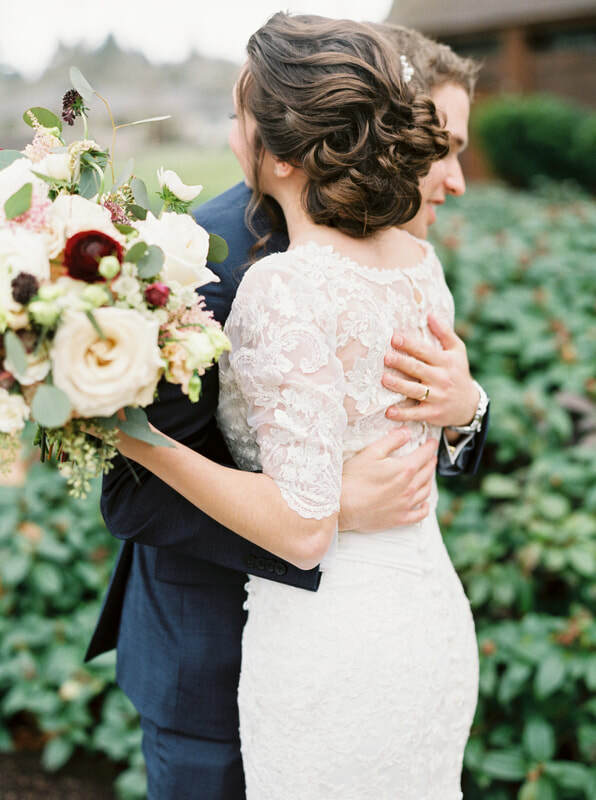 My bouquet was incredible and had just the right balance that I had asked for-between romantic, rustic, and natural. I'd definitely recommend Ali's work to anyone who is interested in having something a little extra special for their flowers and something totally original." ​"Ali helped save the day when our room wasn't ready, giving us less time to assemble flowers. I had ordered (them in bulk to DIY) to save some $, and she graciously helped out. I got the look I was going for . . . and our flowers lasted all through the wedding weekend. They looked so good on Sunday that we even dropped them off at a nursing home to hand out to the residents." 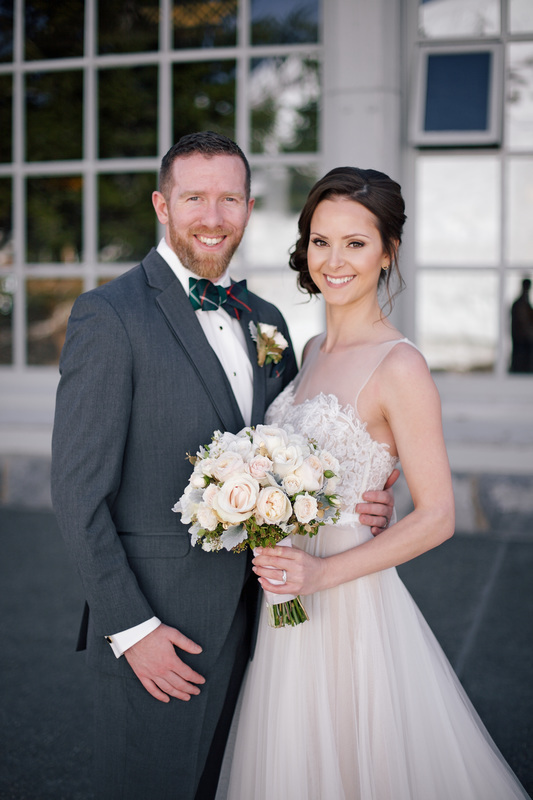 "Ali Briskey Designs was wonderful to work with. Her flower arrangements were both whimsical and timeless. Not only was my bouquet exquisite, the flowers were fresh and smelled amazing. Thank you for making my wedding dreams become a reality. Ali is highly talented. I would recommend her to anyone!" ​"Ali is a great designer! I've known that for years now, which made it all the better when she agreed to do my wedding flowers. They were GORGEOUS!" "Ali was absolutely amazing - I can't recommend her enough! 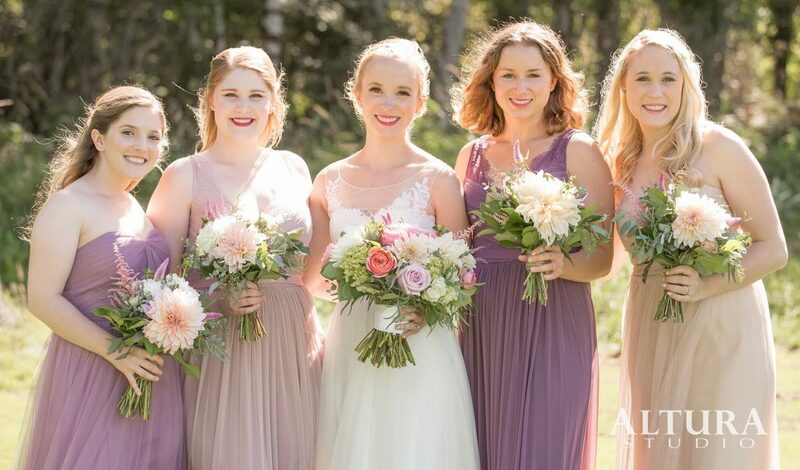 We planned a bouquet-making party with all my bridesmaids so she could teach the girls how to arrange their own flowers - it was so much fun! She made my bouquet and I teared up when I saw it, it was so perfect. She had great ideas on what flowers to pick -- especially ones that wouldn't wilt in the hot sun [it was 90 degrees that day and we had an outdoor wedding]. She is so talented with flowers and made my vision come to life!" "Ali did an amazing job on the flowers for my wedding! We held a flower "party" in which Ali taught my mother, MIL, and bridesmaids how to create the centerpieces for my wedding, which was incredible to be able to be involved in the process. Ali then made my bouquet, and boutonnieres which were gorgeous. 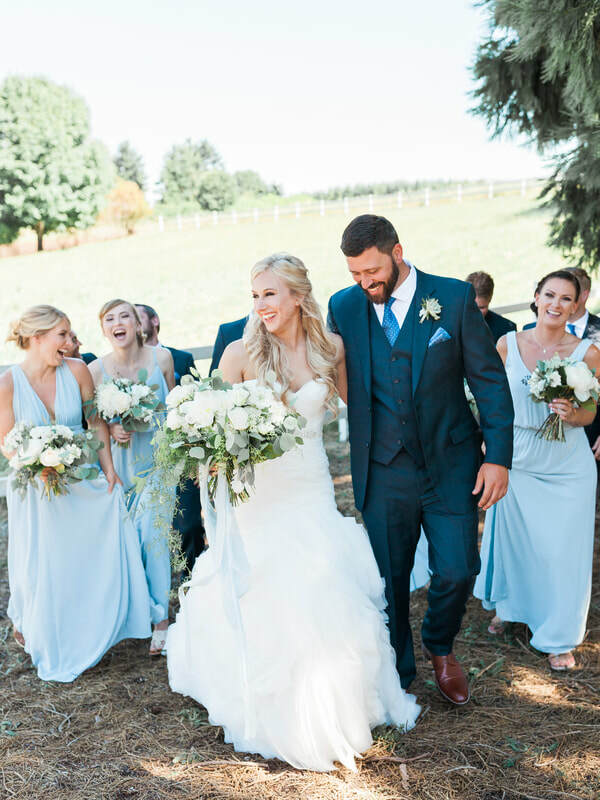 Thank you Ali, you helped make my wedding a wonderful day!"